Shannon Banks, Managing Director of Be Leadership, is an experienced coach, facilitator and consultant, delivering quality, bespoke work to diverse clients across many sectors, including Syngenta, Coca-Cola European Partners, Solvay, Miniclip, Microsoft, BNP Paribas and the House of Commons. Shannon is passionate about social leadership: Her work frequently brings together new collaborative behaviours needed in the modern workplace and a focus on social impact. She was a 2017 Finalist in the Best Business Women Awards. Shannon was the first Action Learning coach certified in the United Kingdom by the World Institute for Action Learning (WIAL). As one of only 10 coaches globally to obtain the Master Action Learning Coach qualification, Shannon frequently teaches the Action Learning Coach Certification courses held in Britain and uses Action Learning to support her clients in creating sustainable cultural change. She is co-author of the third edition of Optimizing the Power of Action Learning: Real-Time Strategies for Developing Leaders, Building Teams, and Transforming Organizations, published Spring 2018. Shannon is a WIAL Board Member since 2015 and is Chair of the Institute’s Committee for Fundraising, Scholarships and Grants. She also has completed an executive coaching certification with the NeuroLeadership Institute and is accredited as an ACC with the International Coach Federation. Shannon is also certified and experienced in numerous methods and tools that support development, including Hogan Assessments, Lumina Spark, MRG Personal Directions, Open Space, World Café, FIRO-B and MBTI®. 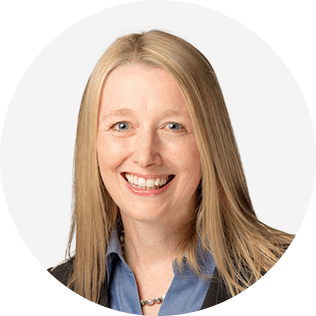 Before forming Be Leadership, Shannon spent 17 years with Microsoft in a variety of leadership roles across the business and HR, with responsibilities managing globally distributed, multi-functional teams. Most recently, she served as Talent Management Director for Western Europe. She was Microsoft’s global thought leader for Action Learning and responsible for the development of Front Lines, an award-winning experience that links learning directly to business impact through work with partners in the developing world. Shannon is a slow but persistent runner, an avid reader and mother to a wonderful 12-year-old daughter Madeline. She enjoys cooking, vegetable gardening and playing Xbox games, and lives with her family outside of London, in a Chertsey home built in 1725. She is active in her local community and volunteers with the Runnymede Food Bank. To compete in today’s market economy, organizations of all sizes are making a shift from top-down, command and control structures, which have been prevalent since the turn of the century, to flatter, leaner organizations that strive for agility, collaboration, customer engagement, and transparency. This is amounting to one of the biggest business transformations since the Industrial Revolution. In addition to streamlining brought about the macro economic climate, three other key forces are coming together to create this Social Era – technology, globalization, and cultural changes led by Millennial employees entering the workforce. This Social Era requires new skills and behaviors from all of us, as leaders, coaches and leadership development professionals. In this session, Shannon Banks, managing director of Be Leadership and a former HR director at Microsoft, explores the historical changes that are causing the shift to the Social Era and how that is impacting workplace and leadership trends today. We’re going through one of the biggest business transformations since the Industrial Revolution. In order to compete in today’s market economy, organizations of all sizes are making a shift from top-down, command and control structures that have been prevalent since the turn of the 20th century to organizations that focus on agility, collaboration and social impact. In this session, Shannon Banks, managing director of Be Leadership and a former HR director at Microsoft, demonstrates why top-down, authoritative leadership styles are no longer adequate and how coaching teams using action learning can help create an agile, connected organization through the development of new social leadership skills.